Following a huge defeat for Theresa May's Brexit deal in Westminster earlier in the week, much of the focus of business here has been to ensure firms are doing as much as they can to prepare for a sudden, disorderly Brexit. Issues such as supply-chain management, increased customs obligations and currency volatility are now very much to the fore. Today Fáilte Ireland announced it will invest €5m to ensure Irish tourism is "product-ready" and "industry-ready" ahead of Brexit. The chief executive of Fáilte Ireland, Paul Kelly, said around €1.75m of this money will be spent on business development "which is effectively helping Irish businesses to increase their sales internationally. "This will be a mixture of both helping businesses move into new markets and also helping to retain their GB business. "We'll have a particular focus in this investment on border counties and counties in the northern half of the country" which have the added challenge of a drop-off in visitors from Northern Ireland. Fáilte Ireland will also be ramping up its support for tourism in the South East due to its "traditional reliance on the GB market, because of the ferry connectivity that's been there". Another €1.5m will be spent on marketing and PR campaigns to target both domestic and Northern Ireland visitors "to shore up that business as much as we can". €1m will go to training and support for the tourism industry to help build up capabilities. The balance of the money will be spent on central services and staff to support and deliver on these programmes. 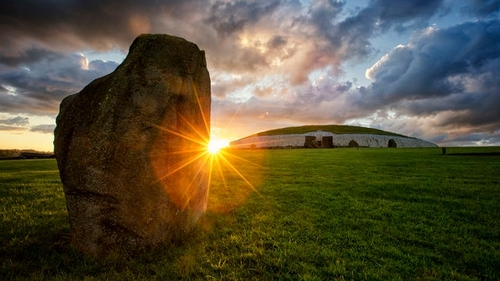 Fáilte Ireland research suggests nearly 3.5 million British tourists holiday in Ireland every year. A huge concern on this side of the Irish Sea since Brexit has been how weaker sterling might impact on this number. With the pound surprisingly robust this week despite the chaos in the House of Commons, tourism companies here will welcome the positive exchange rate. Mr Kelly said: "The exchange rate is a really important factor in terms of the competitiveness of the Irish industry. "That cuts two ways really, because first of all we've got to remember as well as the UK being one of our largest markets, it's also our closest and largest competitor. "So, any variation in that exchange rate not only makes Ireland more expensive for UK visitors, but also makes the UK as our competitor cheaper for visitors from mainland Europe or from North America or other long-haul markets." The Fáilte Ireland CEO added that following the first major post-Brexit fall in sterling, Ireland lost around 5% of visitors from Great Britain almost immediately in that year. Mr Kelly said that loss stabilised in 2018 "but any further deterioration in sterling would be a significant challenge for the Irish industry". On the hike in the VAT rate for the hospitality sector, which kicked in at the start of January, Mr Kelly said the increase is a "significant challenge to the industry. He added it is "particularly felt when the industry is very concerned around the potential risk of Brexit, to have this extra impact on their revenue line is a big challenge". Mr Kelly said it will be more difficult for hospitality businesses in rural areas where demand for their services is not as high.